Excitement everywhere. 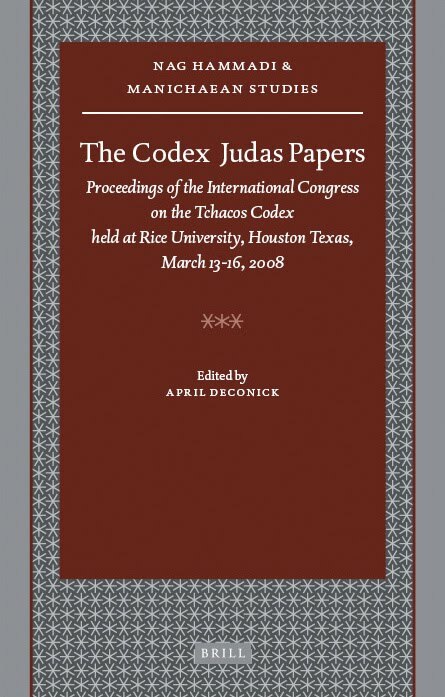 The Codex Judas Papers are going to be published in a couple of weeks. 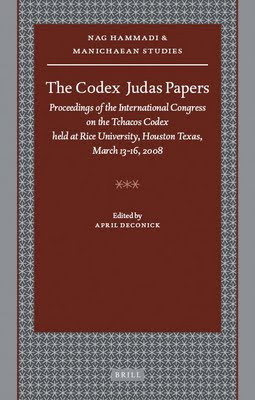 The Codex Judas Papers is the collection of papers written by scholars who attended the Codex Judas Congress last year on the Rice campus. I am the main editor, and these papers are top notch. Many people have asked me for purchasing information once the book was released. So here it is. The people at Brill have kindly offered a 25% discount for the book to my blog readers. It is an expensive book ($256) - nearly 700 pages - so this will be a substantial discount ($64) which reduces the price to $192. People always ask me why these books are so expensive. I am not in the publishing business, but what I am told is that the reason that these kinds of academic books are so expensive has to do with the print run. They have very small print runs - just enough to sell to the world's libraries. When you place your order with Brill, use the discount code 47900, and you will receive 25% discount. ISBN: 978-90-04-18141-0. The toll-free number for ordering in the States is 800-337-9255. The discount is valid until December 31. You can order a book printed to order online(that's a print run of one) for less than 40 bucks. If they charged only 40 bucks a copy, they'd be able to print probably 5 times as many. I might even buy one. Any chance we can get a sneak preview of the table of contents? Will I see you in New Orleans? What are the different Gnostic types?